No such thing as a ‘snow day’ in healthcare. 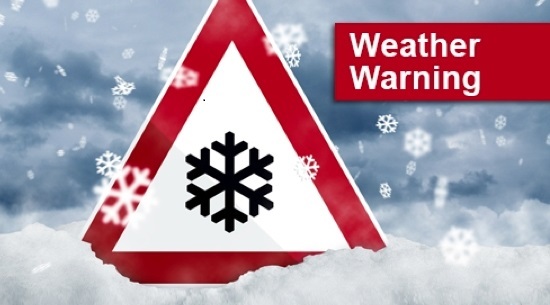 With Red, Amber and Yellow weather warnings being issued all over Britain many news reports are telling us not to travel unless absolutely necessary. When working in healthcare, it is necessary. We provide a 24 hour service, 365 days a week and ‘Snow days’ do not exist. Vulnerable clients still need their support more than any other day to ensure they remain safe during such conditions. Check the local traffic news before setting off to get the latest update on roads that may be affected or closed to help make your journey as smooth as possible. Take into consideration any routes that may be off limits and plan other routes where necessary. Is public transport still running and consider whether this may be a safer option if you do not feel comfortable driving. Set off with more time than you normally would giving you time to clear your car from any snow/ice, ensuring it is safe and all windows are clear before driving. Driving with snow on your cars or windscreens with reduced visibility can result in you breaking the law. Turning your wipers on before the ignition can result in blowing the wiper control fuse if they are frozen to the screen. Poor tyres will not grip as well when driving on snow and ice. In areas where conditions are really bad, it may be worth investing in snow socks or even snow chains. Ensure your car is filled with good quality screenwash to prevent water from freezing. Be prepared for the worst case scenario, and where possible pack extra items in your car in case you get stuck. Essential items include: Torch, a Hi-vis vest, blankets to keep you warm, food, drinks, screenwash, de-icer, ice scraper, a shovel, a phone charger, a map, first aid kit, a warning triangle, jump leads. We encourage staff to be prepared for the worst in the event that staff taking them off shift may be late or unable to travel, resulting in staff shifts being extended to avoid clients being left alone and causing a safeguarding issue. Here at VP the safety of our staff and clients remain our main concern during such adverse weather conditions. We encourage all staff to maintain regular communication with us, so appropriate steps can be taken to ensure our clients are receiving the right level of support. Further safety tips can be found on the RAC website.